"Don't Miss A Call or Visitor Again!" The Sonic Blink Receiver is a hearing impaired aid that will alert you by flashing a strobe light when it receives a signal from a Sonic Alert Transmitter (phone ring, baby cry signaler or doorbell signaler.) 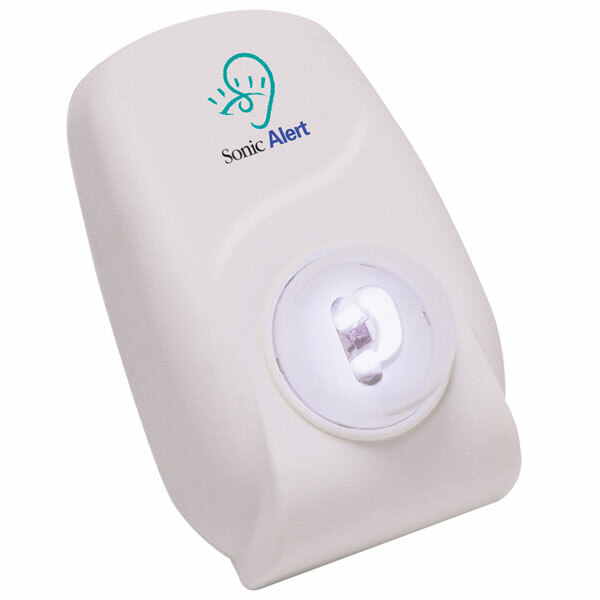 This hearing impairment aid is great to use in places where you would not use a lamp such as bathrooms, kitchens, dining rooms and hallways. The Sonic Blink Receiver will even work if placed behind your furniture. U.L. Listed. Warranty: 5 Years.